The stereoisogram approach (Fujita in J Org Chem 69:3158–3165, 2004; and in Tetrahedron 60:11629–11638, 2004) has been applied to comprehensive discussions on geometric aspects and stereoisomeric aspects of stereochemistry, where a prismane skeleton has been selected as a rigid skeleton for the underlying proligand-promolecule model. The existence of five types of stereoisograms (Types I–V) has been demonstrated by using prismane derivatives as illustrative examples in a consistent way with a general proof using the group theory (Fujita in MATCH Commun Math Comput Chem 54:39–52, 2005). 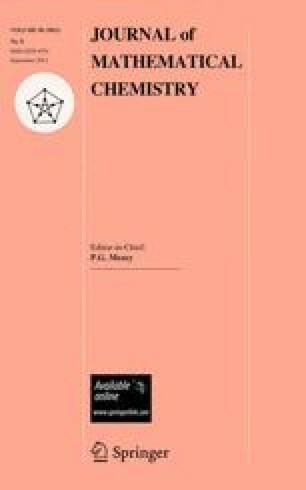 After a C/A-convention for characterizing absolute configurations was proposed on the basis of the stereoisogram approach, such geometric and stereoisomeric aspects of stereochemistry as chirality, RS-stereogenicity, and sclerality have been discussed by putting emphasis on the independence between chirality and RS-stereogenicity, on extended features of pseudoasymmetry, and on the assignability of A/C-descriptors. By following a general rationalization (Fujita in Tetrahedron 62:691–705, 2006), prochirality, pro-RS-stereogenicity, and prosclerality have been discussed on the basis of such attributive terms as sphericities, RS-tropicities, and cercalities, where illustrative examples are selected from prismane derivatives. Thereby, the stereoisogram approach has been clarified to be a versatile device for integrating geometric and stereoisomeric aspects of stereochemistry.